Mayhem raged on the streets night after night orchestrated by a few individuals banding together to take over a city of two and a half million souls. However, while there was this unrelenting force dominating the innocents, hope remained scant. Then pockets of heroics began to appear little by little. Before long, there became an organized uprising from across the world. They came into this dour landscape to take it back. David Rhodes joined the resistance on July 12, his birthday. Once he got involved, he never looked back. The catalyst for his participation was what he witnessed on Main Street in the wee hours of the morning. David happened upon a purse-snatching going down in front of him while taking a moonlit stroll. Normally, a passive type, he never got involved in so much as a scrap in school. Though this time, he would not just sit idly by . . . he had to do something. As he got into a fight with the would-be thief, the larger man began pummeling him. Then, out of nowhere, a burst of adrenaline with a strength he didn’t know he possessed, he leapt up off the ground. Copying a move he had seen in a wrestling match once, he wrapped his legs around the guy’s neck, and in the heat of the moment, he snapped it. The woman whose life savings and credit cards hung in the balance, watched timidly from a nearby storefront. David returned the purse to her and disappeared into the shadows. However, he didn’t stay hidden for very long. The very next night, and weeks that followed, he found himself journeying back into the thick of escalating violent situations, his adrenaline kept him fighting until just before the sun would come up. After this act of heroism, others heard of his fighting style and unbridled desire to bring down the villains that kept cropping up. He became a de-facto leader, that his supporters dubbed him Mr. Rhode Island because of his name, and that he always fought alone. While many considered him incredible, his older sister Carolina was not impressed. She knew that no good could come from his nightly antics, and that his actions were causing more harm than good. After he’d defeat one assailant, he’d take on ten more the next night. These vigilante acts were causing the both of them to lose valuable sleep. One night, she stormed out of her bedroom while he was off on a mission. She was determined to take action once and for all. She crossed the room over to the wall, and pulled the plug on his game system. “What the heck did you do that for?” David asked. “We need to talk.” Carolina said as calm as she could manage. Underneath the surface, she was a volcano waiting to erupt. “I’m getting tired of you playing these incessant games every night. Some of us have midterms next week you know. And, I have to study really hard if I want to graduate high school this year.” The words each poked at David like daggers. “You’ll understand how rough this is for me when you get to high school in five years.” He even winced a little bit with the last sentence. “Sure, I guess.” He stood up to head out of the room. 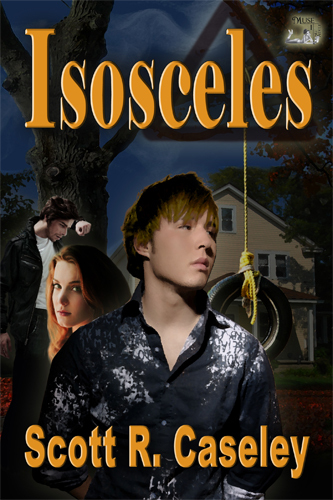 While Isosceles is his first novel, he wrote and directed a dramatic feature, co-wrote and directed a documentary and wrote for an online magazine. He’s also a trained voice, stage, and screen actor. 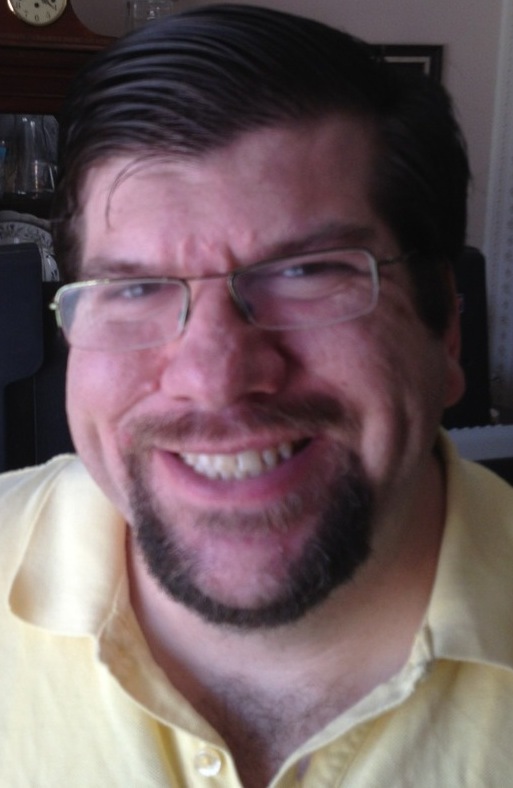 In addition to his creative pursuits, he is passionate about healthy living. He follows a mostly self-directed fitness quest consisting of weight training, walking, swimming, yoga, and hula hooping. When not working out, he also enjoys cooking healthy gourmet meals as well as playing board games with family and friends with plenty of coffee brewing to keep the fun going until the wee hours of the morning. 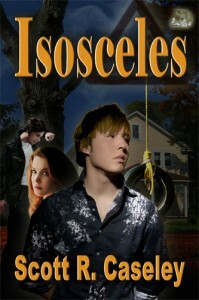 This entry was posted in Books, YA, Young Adult and tagged Isosceles, Scott R. Caseley. Bookmark the permalink. Thank you so much for the kind words. This tale isn’t an excerpt from Isosceles, just a standalone piece inspired by good old fashioned sibling rivalry. I’m glad that you enjoyed it, and I hope you enjoy the novel as well! Looks like a good book, Scott. Looking forward to reading it! Welcome, Scott, I hope you had a great holiday. Thank you so much for this opportunity, Marian. I had a wonderful holiday. I got to see a lot of great people, some I hadn’t seen in a long time. I hope you did as well. Have a wonderful 2013!